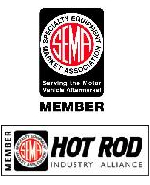 Stainless Logo Sill Plates stainless logo sill plates  - $389.00 : Dearborn Deuce, Premier manufacturer of an all steel 1932 roadster body with a fully disappearing convertible top. 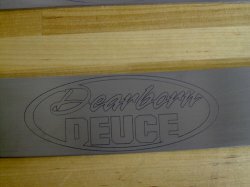 Dearborn Deuce laser-etched sill plates come in a brushed finish, but can be polished. Please call 860-669-3232 or email info@dearborndeuce32.com to purchase this product.